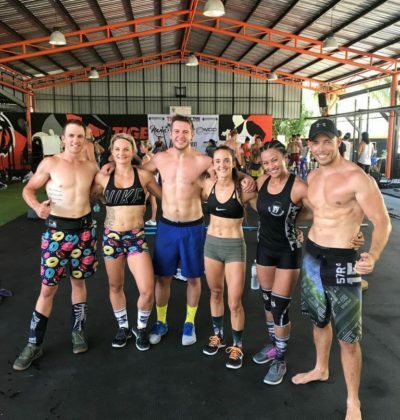 Unit 27 is a custom designed fitness, weight loss and conditioning facility created to fill the need for a scientifically proven full strength fitness gym in Phuket, Thailand. The combination of our fully qualified instructors plus state of the art equipment & expert training provide for structured, safe development toward meaningful physical, mental and social transformations. All fitness levels are welcome at Unit 27. So whether your goal is to get fit, lose weight, cut up for competition, pack on muscle or to improve on your sports performance levels (whilst making some life long friends along the way), Unit 27 has everything you will need for the best fitness Phuket holiday. Total conditioning, weight loss, body transformation & fitness Phuket training options brought to you exclusively by Unit 27 Thailand. Strength and Conditioning is much more than just lifting weights, this training system encompasses an athlete or individiual's entire body to rapidly lose weight and improve your power, endurance, speed, agility, core stability and all round athletic performance. 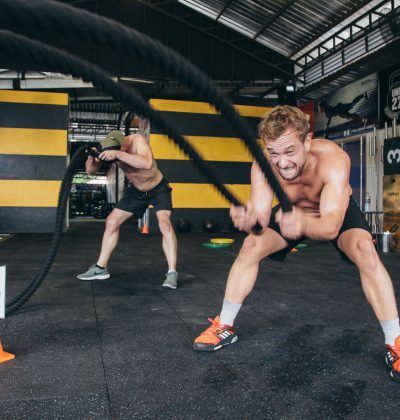 High intensity weight loss training is a scientifically proven and highly effective form of strength training which underpins our most popular sessions here at the Unit. The training focuses on performing quality weight training repetitions to the point of momentary muscular failure for rapid body transformation. Core stability and flexibility classes, also known as holistic workouts will aim to improve flexibility, core strength and body conditioning. Expect to flatten your abs, strengthen muscles, lose weight and improve posture with one of our popular Yoga or Pilates classes. Advanced fitness training that goes beyond your average user level. Break through boundaries and achieve Super Sayan God form with our specialised advanced phuket fitness sessions. These classes are not for the faint of heart, you will be pushed, take them on if you dare! Our personal instructors work with a range of clients from beginners through to world class athletes. We currently condition and rehabilitate top tier athletes from the UFC, NHL, OneFC, NRL & other sporting organisations as well as develop meal plans to achieve your personal training goals. Have you ever heard the term "tested to destruction"? Well this place does that and just when you think you are broken, they break you some more. Expect tears, pleading and shouting as they release your inner tiger. If you find yourself on Soi Ta Ied and you decide fighting is not your thing and the biggest fight you have is within yourself, get down to Unit 27 because these guys will be on your side when fighting the voice inside you that says "You can't"! "The word "But" is an argument for our limitations, and when we argue our limitations, we get to keep them." Best gym on the strip. Unit 27 delivers a challenging but fun session every time with friendly staff, clean facility and reasonable prices. Offering an awesome variety of classes, great vibes there and would recommend to anyone. They cater for all levels and abilities.